‘I hope our jokes become an outlet for people to forget their worries and laugh,’ says the thirty-two year old comedian. Rahul Subramanian was midway through his five-minute spot when I saw him perform for the first time, four years ago. He was tanking. This was at The Hive in Mumbai, which was where every up-and-coming comic tested their material. It was one of those Monday nights when the room was dead and a hostile silence had taken over. I distinctly remember watching him perform and thinking, there’s no way he’s going to make it. Now, Rahul has no recollection of that night and his special Kal Main Udega is streaming on Amazon Prime – the crowning jewel in a series of achievements. 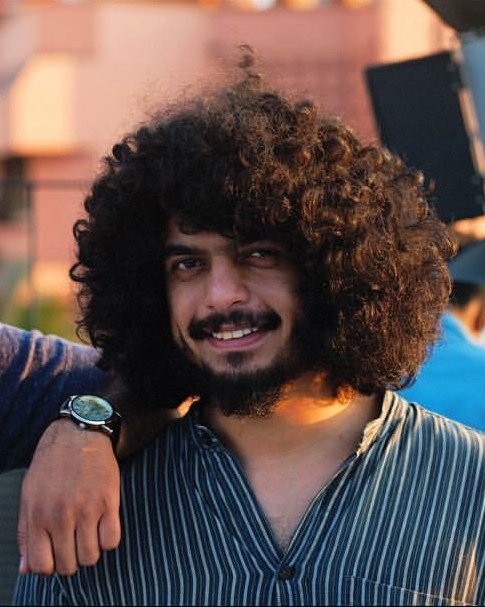 In 2015, he and comedian Kumar Varun beat 40 other participants to win the YouTube Comedy Hunt with their channel ‘Random Chikibum’. 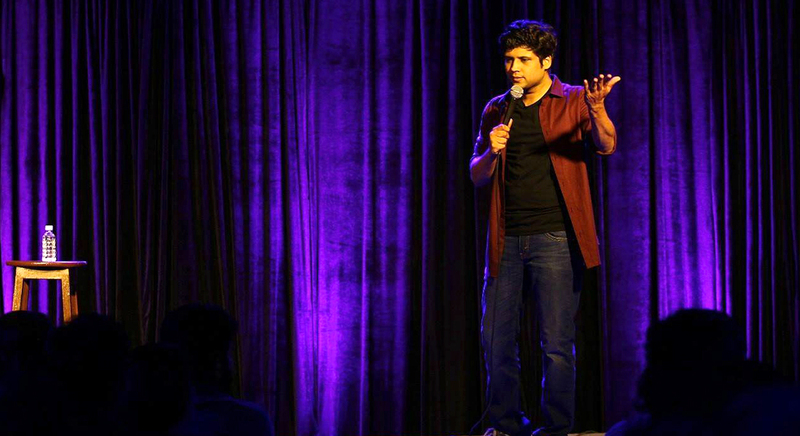 Then, with his presence in All India Bakchod’s internet sketches, he established himself as a comic actor. Rahul’s Amazon special has been promoted as a ‘special without a message’. He insists that comedians don’t need to be social justice warriors. In the past he gave into the compulsion of offering an opinion on every bit of trending news online, but stopped because it didn’t feel genuine. “I’m not someone with very strong opinions. I want to keep making jokes on whatever I find funny. I don’t mind doing a domestic violence joke, or a BJP/Congress joke, or whatever it is. Where I come from isn’t an opinion I want to convey, it’s just a funny observation. I understand when people look at me and think this has no substance. I became a comedian because I want people to laugh,” he says. It’s hard to categorize what Rahul does on stage in a genre. He does storytelling, quick bits, one liners and observational comedy on a variety of topics, presenting them like a play in a very visual format of storytelling. In a couple of places in his special, he actually prods the audience by letting them know his callbacks are a tool in comedy to incite laughter, effectively getting a laugh out of calling himself out. So far, this approach has served him well. “I think I deserve it,” says. I can’t disagree.